Having worked at Vancouver General Hospital and Woodlands Hospital as a medical Social Worker, I have met many impressive nurses in my life. Recently a nurse lent me a book about the life of Florence Nightingale, the mother of modern nursing. I was astounded by the pervasive lasting impact of Florence’s life. Florence was a one-woman dynamo. Nothing stood in her way. No inefficiency, no corruption, no bureaucracy could ultimately stop her from bringing healing to countless suffering people, particularly those impacted by war. While Florence was a caring individual, she was no ‘pushover’, but rather a brilliant, strong-minded professional, a gifted organizer and statistician. 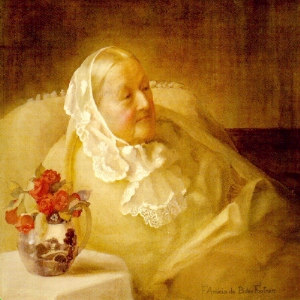 Florence was without a doubt one of the most influential women in the 19th century. Florence Nightingale is someone who we can all learn from. I am concerned that cultural amnesia may rob us as Canadians of her inspiring story. While her story is still taught in British and South African schools, it is not to be found in the BC public School Curriculum. Is this not a good time to reconsider Florence’s remarkable ongoing influence? Florence Nightingale was baptized in the Church of England as an infant in Florence, Italy, where she was born in 1820. As a child, Florence was very close to her anti-slavery lobbyist father who, without a son, treated her as his friend and companion. Her father, William Nightingale, a wealthy English landowner, took responsibility for her education and personally taught her Greek, Latin, French, German, Italian, history, philosophy and mathematics. Florence’s mother, Fanny Nightingale was a domineering woman primarily concerned with finding her daughter a good husband. She was therefore upset by Florence’s decision to reject offer of marriage by several suitors, including the well-connected Lord Houghton. At age of twenty-five, Florence told her parents she wanted to become a nurse. Her parents were totally opposed to the idea, as nursing was associated with alcoholism and prostitution. 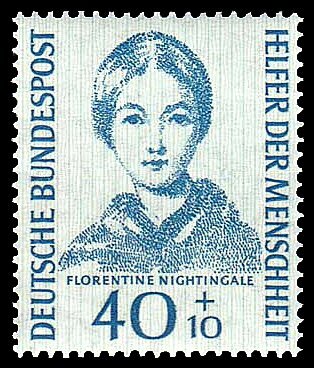 In 1851, thirty-one year-old Florence spent three months nursing at the Deaconess Institution at Kaiserswerth, Germany. Upon returning to her family in England, Florence said: ‘I was treated as if I had come from committing a crime’. When in 1853 Florence became a Nursing Superintendent in London, her parents wailed, wept, and refused to eat. 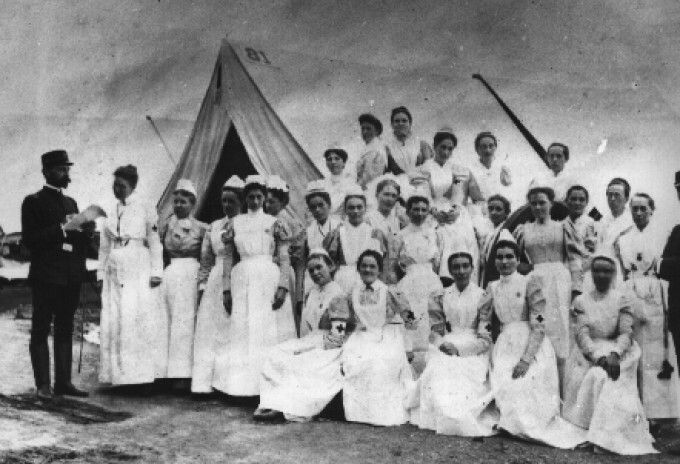 In 1854, Florence Nightingale took 38 “handmaidens of the Lord.” (as she called them) to nurse wounded British soldiers in the Crimean War. This was the first time the government had allowed women to do this. Almost all modern nursing systems and techniques we know today can be traced back to her. According to some reports, Florence suffered from PTSD (Post Traumatic Stress Disorder) for the rest of her life. The Crimean War was, Florence wrote, ‘calamity unparalleled in the history of calamity’. She became famous as ‘The Lady with the Lamp’. The wounded along the four miles of beds loved to see her, because she so obviously cared what was happening, and fought for better conditions for them. One soldier wrote home that the men kissed her shadow on the wall when she passed. Conditions in this so-called hospital in Scutari, Turkey, were appalling. No operating tables. No medical supplies. No furniture. The lack of beds, for example, meant that the best the wounded soldiers could hope for was to be laid on the floor wrapped in a blanket. Rats ran amongst the dying. On occasion, even dead bodies were forgotten about and left to rot. There had been no washing of linen – and every shirt was crawling with vermin. Florence ordered boilers – and boilers were installed. 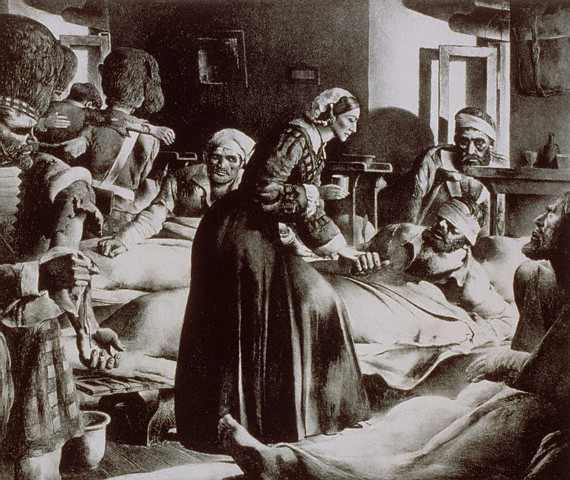 Florence was able to demonstrate that for every soldier killed in battle in the Crimean War, seven died of infections and preventable disease. Better food, cleanliness and good sanitation could prevent disease and death. Florence was exhausted, the life drained out of her by her struggles in the Crimea. She was only thirty-six, but she felt her work must surely be over. In fact she had nearly forty years of active working life ahead of her. Although bedridden and unable to walk, she still campaigned tirelessly to improve health standards, publishing over 200 books, reports and pamphlets. Her book ‘Notes on Nursing’ popularly ranked as one of the two most important scientific books of the 19th century. One of the keys to Florence Nightingale’s success in improving health conditions was that she took numerous notes on aspects of health care and organized this information in order to analyze it, draw conclusions, and make appropriate changes. In her notes, she used graphical displays of information similar to what are now known as pie charts. She was recognized for her skill in interpreting large amounts of data and standardizing information such as the classification of disease so that different hospitals could compare their findings. As a result, Florence was the first woman to be elected a fellow of the Statistical Society and given the British Order of Merit. In September 1856 Florence Nightingale received an invitation to visit Queen Victoria. Upon meeting, Queen Victoria complimented Florence, saying: “You have no self-importance or humbug. 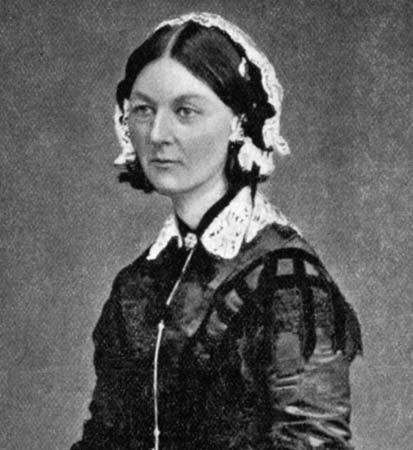 No wonder the soldiers love you so.” Queen Victoria never lost her awe of Florence Nightingale. To her, Florence was the bravest, most independent woman in the British Empire. Let us give thanks for the life and work of Florence Nightingale, pioneer nurse and handmaid of the Lord who has brought health and healing for countless millions. 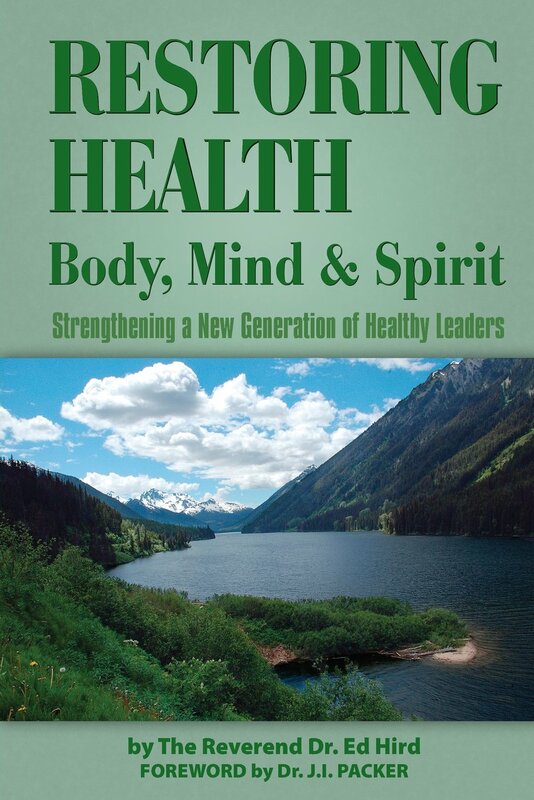 To receive a signed copy within North America, just send a $20 cheque (USD/CAN) to ED HIRD, #102-15168 19th Avenue, Surrey, BC, V4A 0A5, Canada. Categories: Uncategorized | Tags: alcoholism, Anglican Coalition in Canada, Anglican Mission in the Americas (Canada), battle, Battle for the Soul of Canada, better food, boilers, British Empire, British Order of Merit, Church of England, cleanliness, conversion, Crimean War, Deaconess Institution, Fanny Nightingale, Florence Italy, Florence Nightingale, God, handmaid of the Lord, healing, health, Holy Spirit, Jesus Christ, Kaiserwerth Germany, Lord Houghton, Mother of Nursing, Notes on Nursing, Nurse, Nursing, Post Traumatic Stress Syndrome, prostitution, PTSD, Queen Victoria, rats, Rev Ed Hird, sanitation, Scutari Turkey, Soldier, St. Simon's Church North Vancouver, Statistical Society, The Lady with the Lamp, Vancouver General Hospital, vermin, William Nightingale, Woodlands Hospital | Permalink. I am married to an English nurse. I can understand the depth of feeling and intense dedication that comes with the nursing profession. God gave us Florence to make it a profession, and now life is so much better for that. Praise the Lord!! I have just presented this account to our School Chapel. All Saints’ College Bathurst. NSW Australia. This is most encouraging to hear, Paul+. 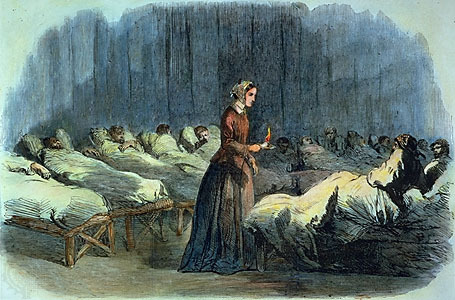 The Florence Nightingale article is one of my most popular postings these days. and qualifications you can expect to be paid well for your knowledge and skills. That’s 2 years and 8 months instead of 4 years, and you are more qualified for a variety of nursing jobs (since you have already worked in the field). Finally, recently there has been a surge of LPN schools opening up online. I’d really love to be a part of online community where I can get responses from other experienced individuals that share the same interest. If you have any recommendations, please let me know. Thanks! Well done, Ed. Well written post about a blessed woman who dedicated her life to servanthood in the field of medicine. I hope to write a children’s book on both her and Elizabeth Blackwell one day soon. Elizabeth and Florence shared a mutual friendship and cause as they did make some initial plans for women’s education in the medical field. Very interesting. Thanks, Ed. Hi there,I log on to your blogs named “Florence Nightingale: Mother of Nursing | Edhird’s Blog” like every week.Your writing style is witty, keep doing what you’re doing!